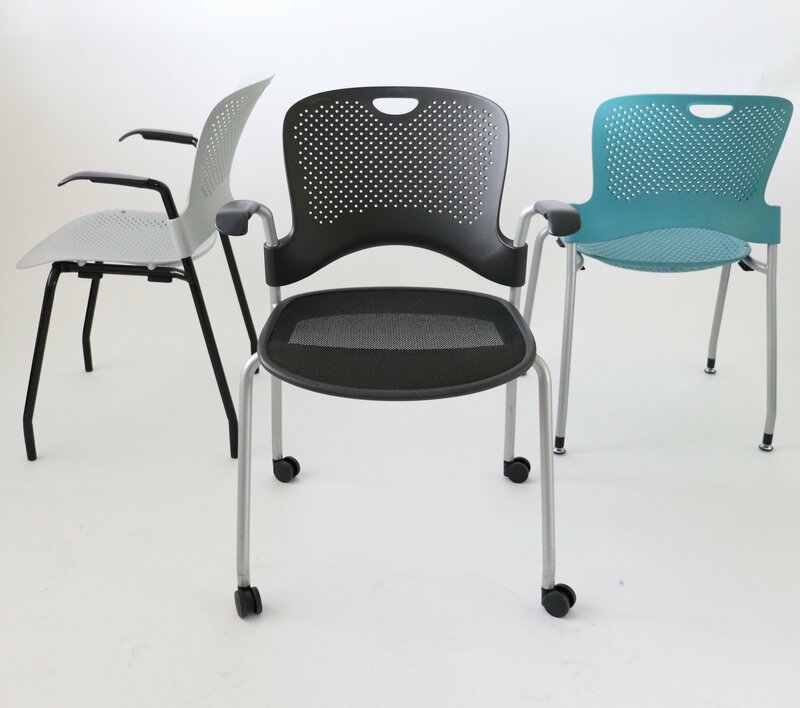 This stacking chair has a molded perforated back with a mesh or plastic seat. The chair has silver or black painted 4 legs base, no arms or fixed arms, and glides or casters. It can stack up to 5 high. This Chair varies in color, adjustments, and quantities!